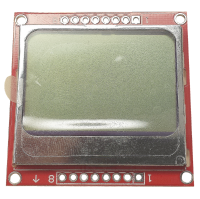 This module is a 84x48 pixels basic graphic LCD screen suitable for lots of applications. It was originally intended for as a cell phone screen. 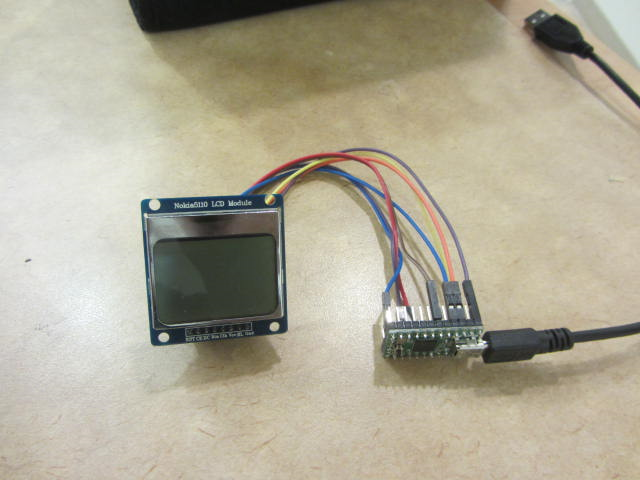 This one is mounted on an easy to solder PCB. After wiring the unit, you can download the C example code below. 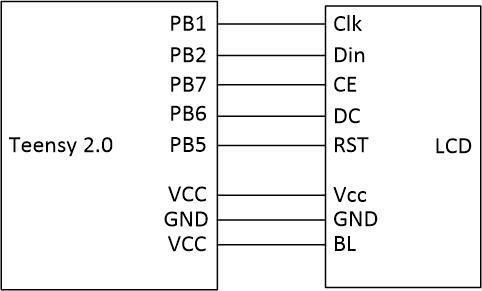 This code is tested to compile via avr-gcc under Windows and Linux. You may need to install the avr-gcc compiler prior to using these files. A pre-compiled .hex file is included for rapid use. There is a nokia5110.h and nokia5110.c file included in the example. 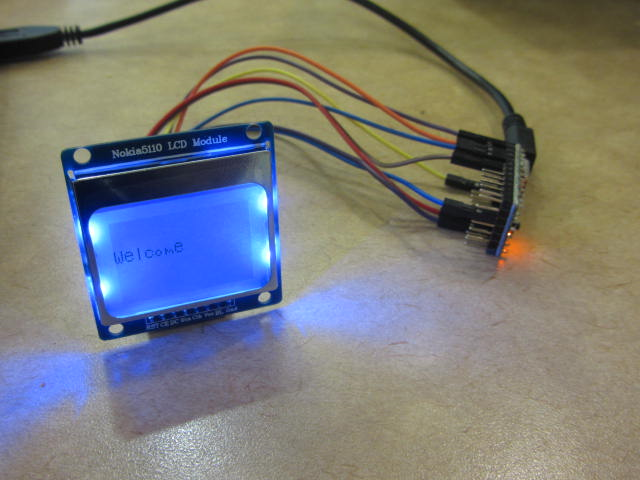 The code initialized SPI on the Teensy 2.0 and displays a string of characters. The Nokia 5510 is a graphics LCD so to display text, the program also includes a bitmap that was used to create the font used to display text to the screen.